CBD Buying Guide – Don’t Get Ripped Off! CBD or cannabidiol is being sold everywhere and is being promoted as the cure all for whatever ails you. With CBD’s explosion onto the natural supplement market there have been countless companies selling CBD products. If you are confused by all the choices and hype surrounding cannabidiol, read on. We will help you navigate the treacherous waters of fake products, false claims/outright lies and low-quality products. We will do this not just to sell you our lab tested quality products. But because we believe that the emergence of cannabidiol as a natural treatment has huge upside potential and no downside especially compared to what the pharmaceutical companies are peddling. This article is being written as a result of the spread of misinformation by those who don’t want you to stop using their drugs and scammers and conmen who are trying to “get in on the CBD gold rush.” Knowing the difference between hemp oil and CBD oil is what we will discuss here first. Both oils are synthesized from industrial hemp plants. The first difference is that hemp oil and CBD oil are produced from different parts of the hemp plant. Hemp oil is made from seeds of the hemp plant while CBD oil is made from the hemp plants flowers and leaves. Both oils are useful but are vastly different in their applications. Hemp oil is mostly used as protein supplements and in lotion and soap products. 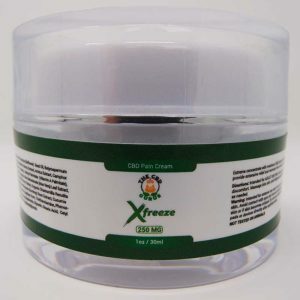 CBD oil is generally used for medicinal product purposes. Now that some of the fundamental distinctions between the two oils have been outlined, we will elaborate on their uses for further consumer awareness. Hemp oil is being used in a number of assorted ways. It is being used in cooking as an olive oil replacement due to its higher protein content and nutty flavor. Lotions and soaps are using hemp oil in their products because it is a natural moisturizer. Some also believe it has anti-aging properties and that it is useful in treating atopic dermatitis. Now let’s take a closer look at CBD oil or cannabidiol oil as both names refer to the same oil. Most of CBD oils uses are concentrated in medicinal products. Cannabidiol has been proven to be useful in chronic pain management, such as neck and back pain. There also have been studies promoting CBD in the treatment of inflammation, anxiety, insomnia and migraines. The FDA even has a recently approved drug that utilizes CBD in the treatment of epilepsy. CBD is involved in a number of current medical research studies with discoveries for its uses broadening daily. Here are some general rules of thumb for buying these products. If you are on Amazon, they mostly sell hemp oil for now. They also sell a full spectrum oils which includes everything the hemp plant has to offer chemically. Theirs is sold without any containing CBD so it can hardly be “full spectrum” at that point (More on Full Spectrum). It is cheap and they do make claims that it will do the same thinks CBD oil does, IT WON’T. Another Internet marketplace selling CBD is Craigslist. This is where it gets into the “wild west” of the marketplace. You just can’t be sure what you are getting. Again, it can be cheaper, but you may get cooking oil. You can’t be exactly sure what you are getting here. Ultimately going this route you’re not only wasting time and money but risking your health as well. When buying CBD products look for that they have been tested by an outside independent laboratory, stating consistent concentrations of cannabidiol. The most important part of that statement is that they can provide you with PROOF from the testing lab if you ask. In the meantime, CBD is being put in everything such as coffee, ice cream, cookies and even more. The list is endless. Rumor has it that it may even be put into Coca-Cola in the near future. How cool would that be? Anyway, the jury is still out on if these types of products produce any health benefits or “effects” in general. But if you’re in the Philadelphia area you can get A $600 couples massage while you munch on some CBD cookies! E-mail us and let us know how that went!